When only the best will do! 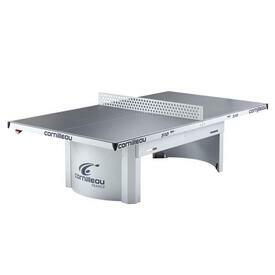 Cornilleau Ping Pong / Table Tennis Tables are engineered with quality and performance in mind. Whether you are needing something for residential or commerial uses, their full line of products will allow you to find the perfect one for your setting. For over 50 years Cornilleau has been the leader in the industry and they continue to innovate to ensure that their tables are the best value and guaranteed to last. Indoor or outdoor, we've got you covered; and a full line of accessories too, including balls, covers and paddles.